Why Is The Retina Display Better? The goal of Retina Displays is to make the display of text and images extremely crisp, so pixels are not visible to the naked eye. This gives content incredible detail and dramatically improves your viewing experience. 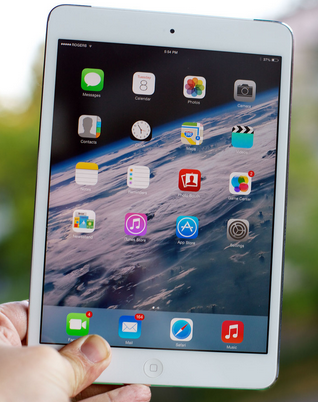 There are, however, features which set Retina displays apart from non-Retina screens. 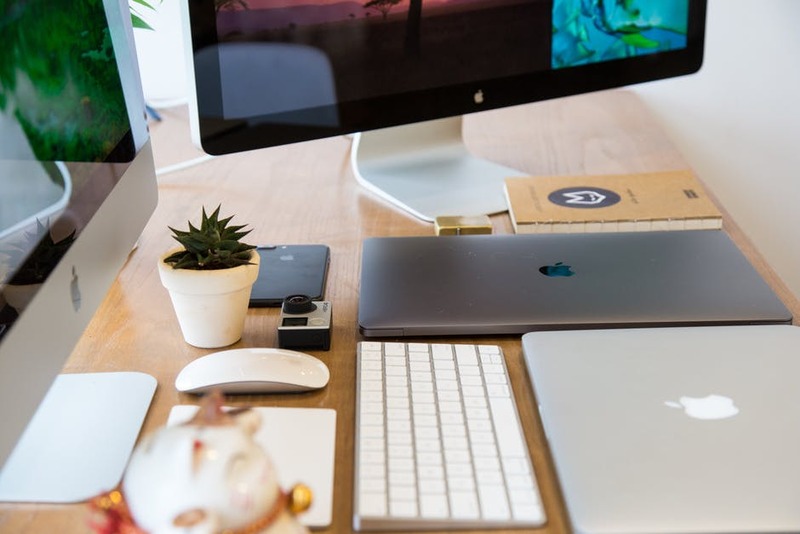 As termed by Apple, a Retina Display is a screen with a pixel density high enough that individual pixels can no longer be discerned by the human eye when the device is held at a normal viewing distance. The “normal viewing distance” is an essential part of this equation because the closer you hold the device, the smaller the individual pixels would need to be before they become indistinguishable from one another. Apple considers the normal viewing distance of a smartphone to be around 10-12 inches and the normal viewing distance for a tablet to be about 15 inches. Text in particular benefits from Retina – it looks smoother, with the curves on characters looking like curves instead of jagged steps.More resolution means the display is more costly and sharper than the non-retina MacBook Pro. The second is Retina mbp is equipped with the flash drive while non-retina version uses conventional hard-disk. The real number to look for is the pixels-per-inch (PPI) of the display. PPI is determined based on the screen size and the screen resolution. Most tablets now display the PPI in the specifications. Interesting enough, the iPad Mini 4 has a PPI of 326 based on having the same screen resolution as an iPad Air 2 with a smaller 7.9-inch screen. MacBook Pro (Retina, 13-inch, Late 2012) and later displays have a 2560-by-1600 native resolution at 227 pixels per inch with support for millions of colors. MacBook Pro (Retina, Mid 2012) and MacBook Pro (Retina, 15-inch, Early 2013) and later displays have a 2880-by-1800 native resolution at 220 pixels per inch with support for millions of colors. iMac (Retina 5K, 27-inch) displays from 2014 and 2015 have a 5120-by-2880 native resolution with support for millions of colors. iMac (Retina 5K, 27-inch, 2017) displays have a 5120-by-2880 native resolution with support for one billion colors. iMac (Retina 4K, 21.5-inch, Late 2015) displays have a 4096-by-2304 native resolution with support for millions of colors. iMac (Retina 4K, 21.5-inch, 2017) displays have a 4096-by-2304 native resolution with support for one billion colors. MacBook (Retina, 12-inch, Early 2015) and later displays have a 2304-by-1440 resolution at 226 pixels per inch with support for millions of colors. The Retina display offers scaled resolutions. These allow you to have text and objects appear larger and more visible, or smaller, which provides more space for windows and apps. Your Mac will show either four or five scaled resolution options depending on its model. 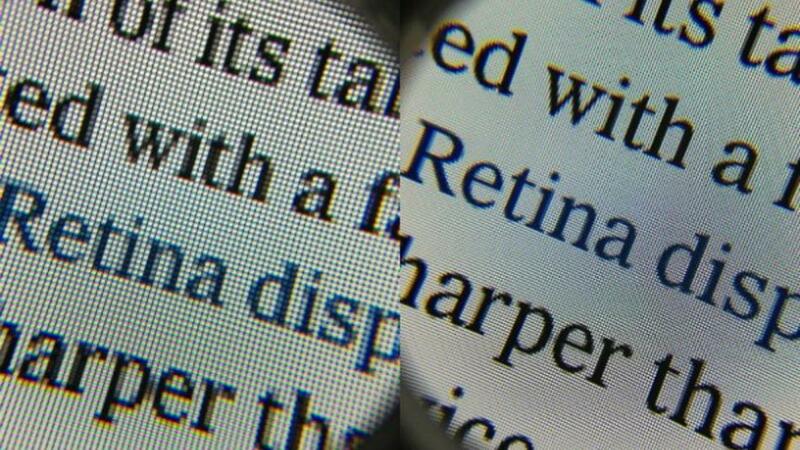 Retina displays use scaled resolutions rather than the specific resolution settings that external displays use. 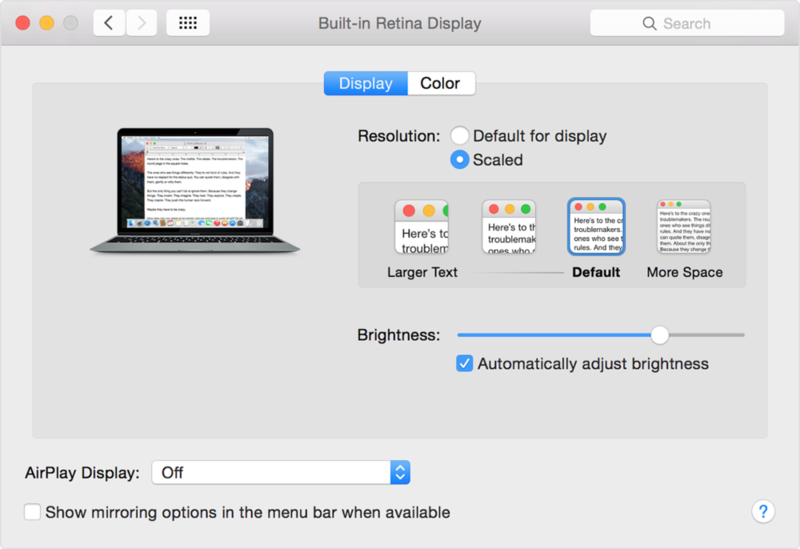 If you need to use a different resolution than those available on the built-in display, attach an external display via HDMI, Thunderbolt, or DisplayPort.You can adjust the resolution of your display, choose System Preferences from the Apple menu. 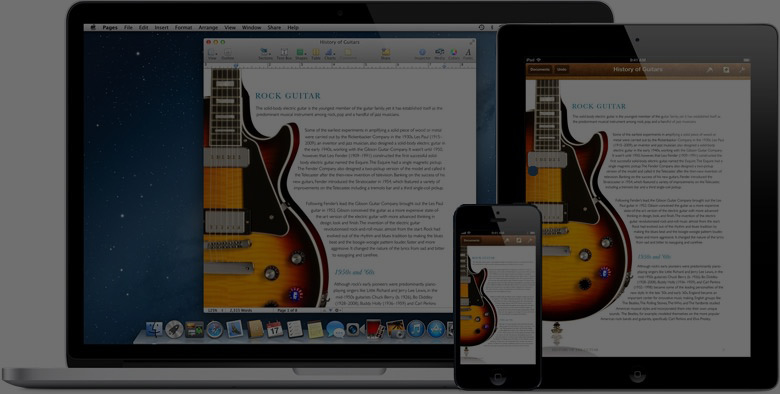 All Apple apps included with OS X 10.7 and later support the Retina display. 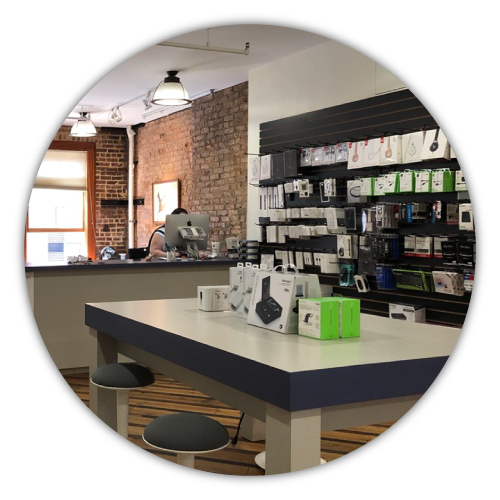 Other apps include Mail, Safari, Calendar, Contacts, Messages, Maps, iBooks, FaceTime, Photo Booth, and TextEdit.Additionally, Photos, iPhoto, iMovie, iTunes, Keynote, Pages, Numbers, Aperture, Final Cut Pro X, and Motion all support the Retina display.